One of the features of ObjectDock is that you can add docklets, which are essentially mini-applications that reside on your docks. These docklets can tell you such information as the weather, CPU usage, battery level, and much more. I wanted to take the time to show you how to add a docklet to your dock. There are many docklets available in the ObjectDock gallery on Wincustomize.com, so just browse the galleries to find one that you like. For this article I will use the iTunes & Master Volume Controller docklet I found on WinCustomize. The steps to install and use these docklets should basically be the same. However, some docklets might require extra steps, so be sure to always read the included documentation for instructions. When you download a docklet from WinCustomize it will typically be a .zip file. The first thing to do is to unzip the file into the docklets folder in your ObjectDock directory. Now go to the dock you wish you put the docklet in and right-click on an empty area in the dock. Hover over "add", and you will now see a list of installed docklets. Select the docklet you wish to use, and click on it. For this article I will be using the iTunes docklet, so that's the one I select. Once selected the docklet should now be visible on the dock. Depending on what type of docklet it is, you might have to configure it. For example if it's a mail checker docklet then you would have to add your e-mail information for it to work properly. Most times you would just right-click the docklet and select from it's list of options. 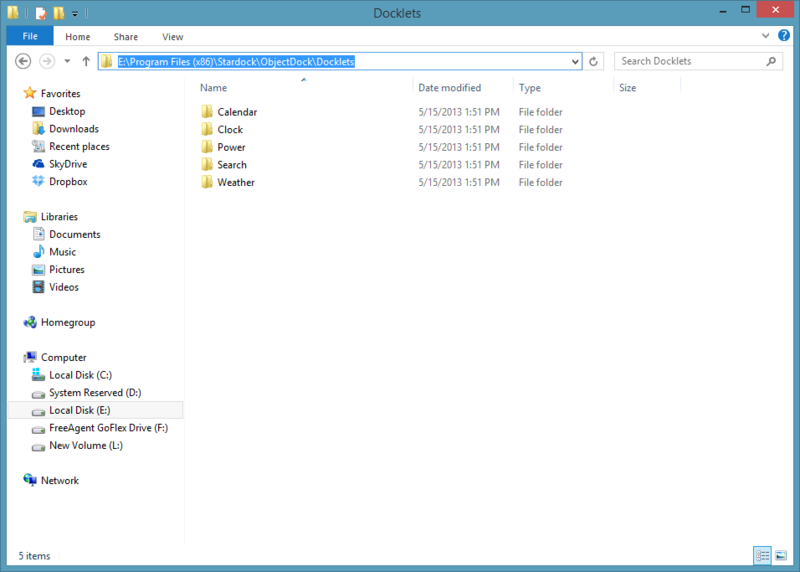 As stated above, always check the docklets folder for installation and configuration instructions. 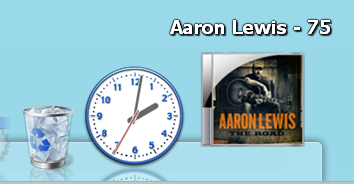 This docklet will display the album artwork from iTunes, and I can use it to change tracks or playlists, plus much more. There are many more docklets available that can add useful information to your docks. One of my favorites is the mail checker docklet in which it will notify me when I get a new e-mail, and how many are in my inbox. 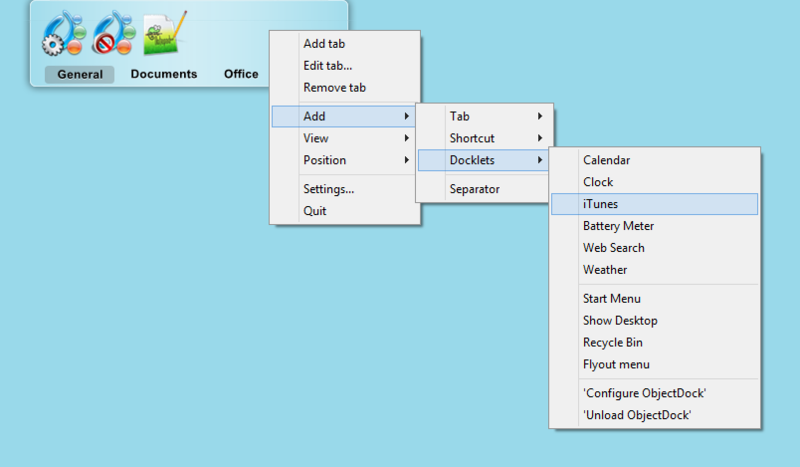 ..which, in my opinion ...is one of the best apps from Stardock. Help Please,I did what you have said but when i Checked my dock and highlighted add i found no i tunes docklet.. I'm aware how to use the ones that come with OD2. However where do you find other dockets to add to OD such as the mail checker or others. I have been using this for 6 years and have also searched for other dockets. Please advise as I would like to see what is available.